Worst running conditions that you've faced: Seaton Trail Race 2011. Race in April, freezing cold and pouring rain from the start. Was in second until 14kish. Got lost and stumbled my way to the finish in the cold, wet conditions, my second half of the race about an hour slower than the first because I was so disoriented and couldn't see straight. Didn't remember anything from the race upon finishing. Rushed to hospital in ambulance and was told I had hypothermia and that if my body temperature had been one degree cooler I would have been at risk for severe organ failure. 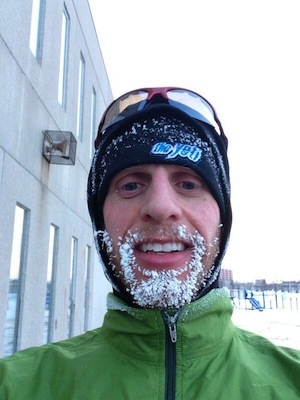 Still now, don't mind running in minus 30 but hate running in 0-5 degrees with pouring rain. Additional Comments: So proud to be a member of the #GoldfingerSpeed team. 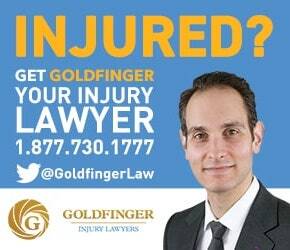 Brian Goldfinger is the best lawyer around and a truly gifted runner. So proud that #GoldfingerSpeed has developed into something real. Still waiting for my singlet to wear during the races.